Tire season is rolling in once again, and the ole saying “good things come to those who wait” does not apply. Not even a little, unfortunately. Tire season often gets a little nutty around here, and we’re not talking lock nuts either. It’s a high demand time of year, which is why we highly encourage you to book your tire swap appointment now, so you can avoid an extended delay and have the correct set of tires on your vehicle at the correct time. Not only does this save unnecessary wear on your tires in the opposite climate they were designed for, but it also increases the safety, fuel efficiency and performance of your vehicle. Plus, winter tires on dry, bare pavement are often a little noisier than your All Season’s. How do you know when it’s the right time to swap? Every fall, you hear about the Rule of 7, and in the spring it’s the opposite. When the temperature consistently sits at 7 degrees or higher on your morning and evening commute, it’s time to have your winter tires off and your All Season’s on. On a side note, it’s always a good idea to check the tread depth on your tires at this time of year. A simple test is to place a quarter into the tread with the caribou’s nose down. If you can see the tip of the nose, you may need new tires. If that’s the case, we can help you there as well. With our Price Match Promise, you can feel confident knowing you’re getting the best price possible on a new set of tires. Our Parts Advisors have the full details. On top of our Price Match Promise, several of the top brand names are offering limited time manufacturing rebates. We have the details on our Tire Centre Page. Click here for Toyota, and here for Lexus. Hauling your tires in and out of storage twice a year can be back breaking work, not to mention the space it takes up at your house. Forget all that, and let us take care of the tire work for you with our state-of-the-art climate controlled tire facility. We store your tires. We haul your tires in and out. We swap them. All you have to do is tell us when you want it done. It really is the best way to handle your tires. 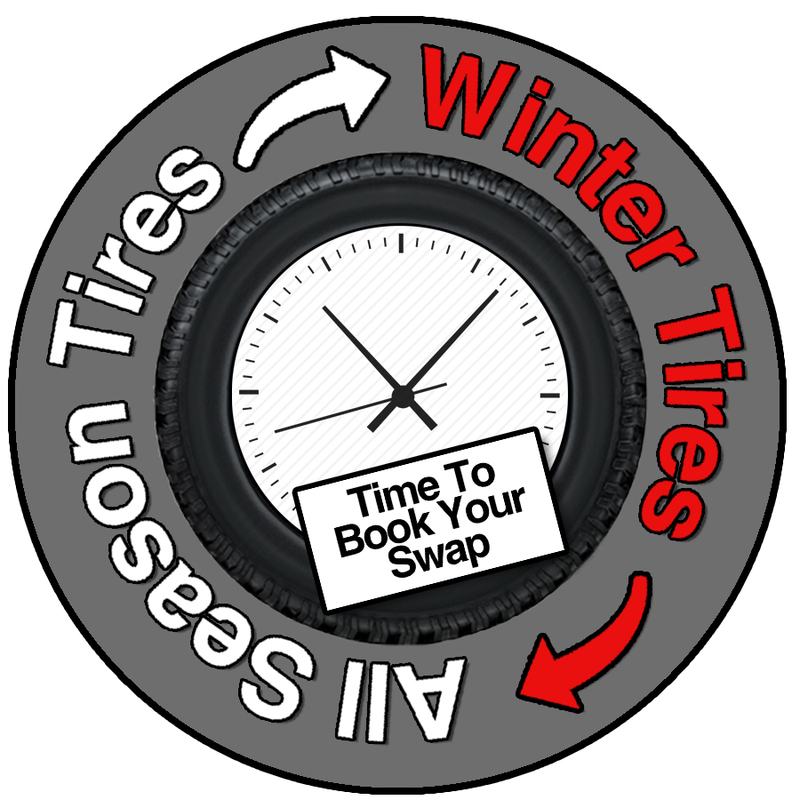 Beat the rush and book your tire swap today. You’ll be glad you did. 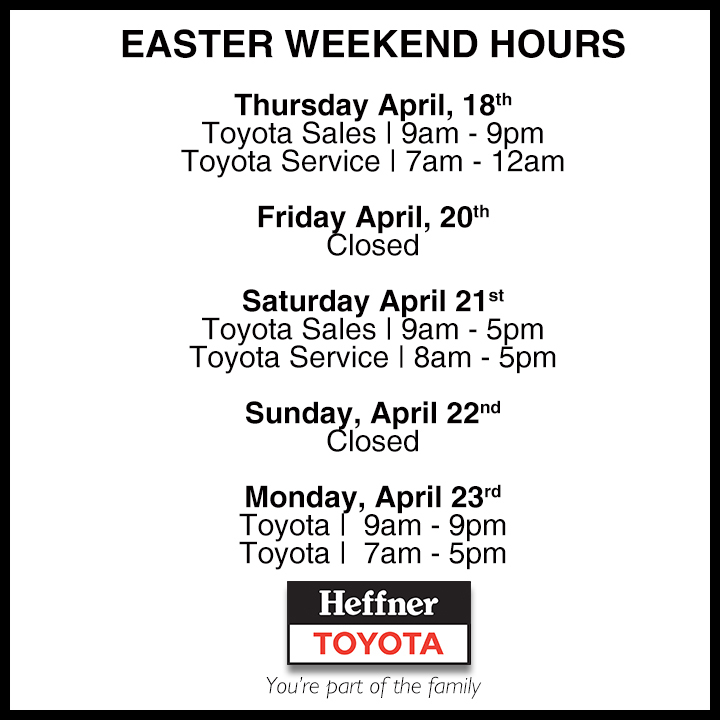 For Toyota, call 519-748-9667 – Option 1. For Lexus, call 519-8959150 – Option 1. We’ve finally (hopefully) turned the corner on our lovely Canadian winter weather. …and hello to sunshine, warmth, and fun drives with the music up and windows down. Spring means so many things, but for us at Heffner’s, the beginning of spring also means our annual Spring Show. This year, it takes place on Saturday, April 6th from 10am – 4pm. This is an exciting time for us to open our doors, welcome you in for an event that’s different from most of our events; it has nothing to do with vehicles, and that’s exactly the point. 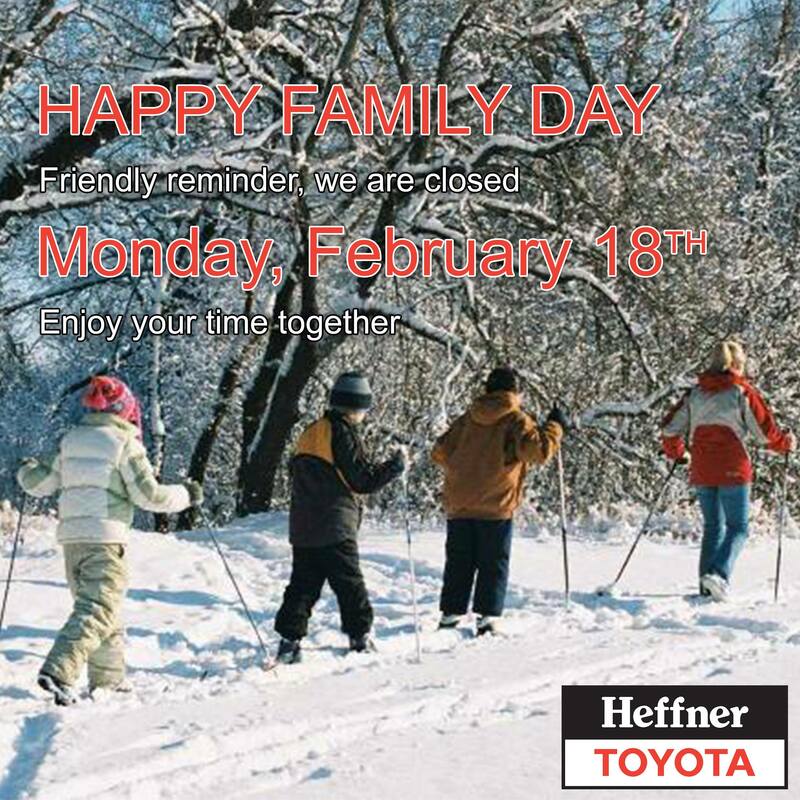 Being “Part of the Family” is more than just catering to your automotive needs, but to your overall life needs as well. 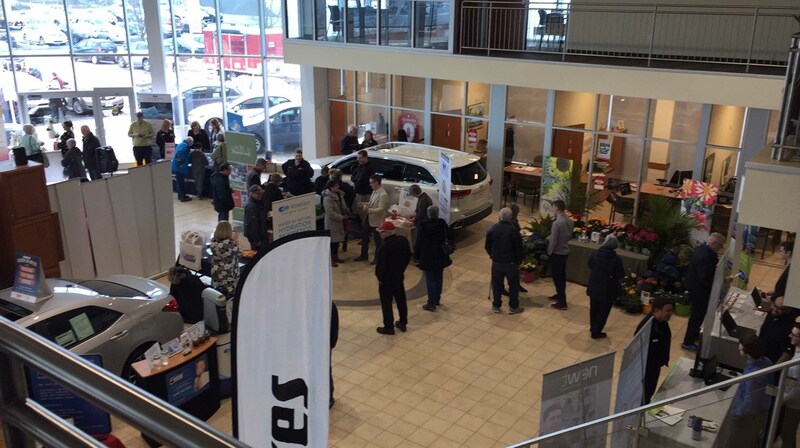 Our annual Spring Show is an excellent time to catch up as well as provide you with expertise in many different areas from home & garden, to travel, and of course food! From the first point of contact to the last bite, Little Mushroom Catering intends to be the leader in Waterloo Region for innovative & sustainable full service event catering. We are a full service custom window covering supplier for residential and commercial clients. Free consultations at your home or business. Water softeners, Reverse Osmosis Systems, Water Treatment Products, Service and more. Drink and enjoy clean, quality, healthy, water! Eat Drink Magazine serves the local community with entertaining and enlightening stories about the finer aspects of eating and drinking since 2007. We strive to bring a fresh look to an exciting culinary scene. Our tightly focused magazine is printed bimonthly, and our website is updated frequently in order to stay fresh, current to the season and timely with news. Expedia® CruiseShipCenters® is a global leader in the marketing and sales of cruise vacations. We are navigators of spectacular vacation experiences. We are a sweets bakery! Come on by to get all of your dessert needs!! Custom cakes, cupcakes, cookie sandwiches, tarts, squares & more! Moose Winooski’s Kitchener is a great outdoor adventure without getting wet or eaten by mosquitoes, and campsites that are always available. We are a community hub for ideas for ideas; a place where people are free to explore, learn and share. Conversations will begin. Creativity will follow. Our spaces will welcome everyone, with programs and resources that enrich the community. We will inspire trust through excellent service. Our focus will always be the people we serve. I write, I edit, and I groan at the mistakes I miss. I love being creative with the written word, and I love knowing that I’ll never be perfect at it, simply because languages keep evolving. Our team is one of the few qualified to fly our UAV’s Nationwide in Canada, under our Special Flights Operation Certificate and in the States, under the FAA Part 107 section. Centre in the Square is Kitchener’s world-class live performing arts venue; creating memorable experiences since 1980. Leave the dirty work to us! Established in 2006, our Dirt Cheap team has set itself apart from competitors by providing a unique twist on a traditional service: instead of dumping dirt in your driveway, we deliver it straight to your garden! It’s how we take the ‘backbreaking work’ out of gardening. Every piece (handcrafted cutting board or a custom design of your choosing) is made of premium cuts of wood with the same careful consideration that went into the very first piece of salvaged wood that got us started. All boards finished with food safe mineral oil and natural beeswax. I’m Mathew McCarthy and I’m the owner of The Apocryphal Seed Company. I’ve been an amateur gardener in southern Ontario for a good while now and I’ve decided to give seed selling a go. I’ve picked a handful of varieties that interest me, a few that I’ve grown and many that I haven’t. Fibernetics has the people, the experience and the expertise to provide you with solutions that measure up to your needs. At Fibernetics we recognize that every customer is different. We provide voice and data telecommunication solutions that power our customers’ full potential for success. Balloon Decorator and local handmade gift shop in Kitchener. Waterscapes is Waterloo Region’s largest hot tub and swim spa retailer. Serving Kitchener, Waterloo, Cambridge, Elmira and surrounding areas. One of the best hot tub retailers in Canada with over 5000 square feet of space featuring 3 swim spas on display and 25 hot tubs available. Waterscape has the best solution for your needs. We have been rescuing Great Danes and finding new, loving homes for them since 1956. Our coverage area for adoptions is ON and QC, but we partner with rescue groups nationally to re-home these gentle giants. Kate’s Kookie dough available now! Easy and Awesome slice and bake shortbread cookie dough made with the finest ingredients. You MUST always keep one in your freezer! Life’s Short…Bake Kookies! Groundhog Divers is proud to be the regions most diversified scuba training centre offering all levels of recreational and technical instruction from basic open water thru instructor as well as advanced leadership development. Habitat for Humanity Waterloo Region is a nonprofit organization working toward a world where everyone has a decent and affordable place to call home. HabitatWR brings communities together to help families build strength, stability and independence through affordable home ownership. Customer service skills of the Heffner automotive businesses applied to the cabinetry and woodworking business. Heffner Auto Cleaning and Detailing Centre understands that people have different needs for their vehicle. We offer a range of car detailing packages to suit your desired level of care, from the Heffner Hand Wash to our Bronze, Silver, and Gold options. A career at Heffner’s is more than just selling cars. No matter your interest, talents or passion, there’s a role that fits you. 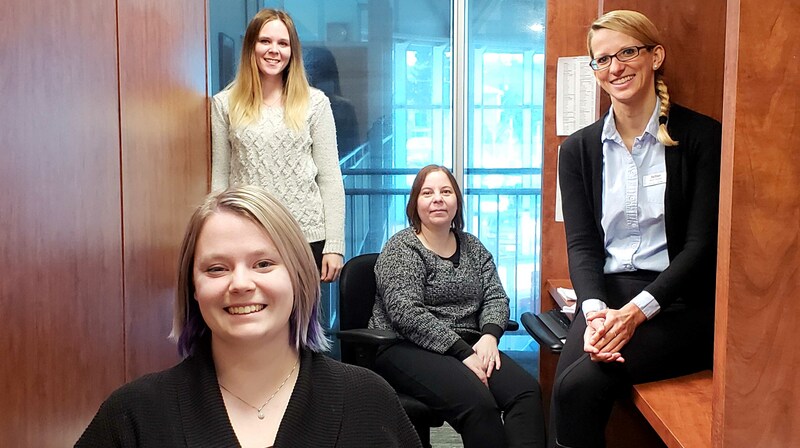 Speak to our HR representatives about your future at Heffner’s. In addition to these wonderful local vendors, the Kitchener Fire Department will once again be joining us with two hands on demonstrations. 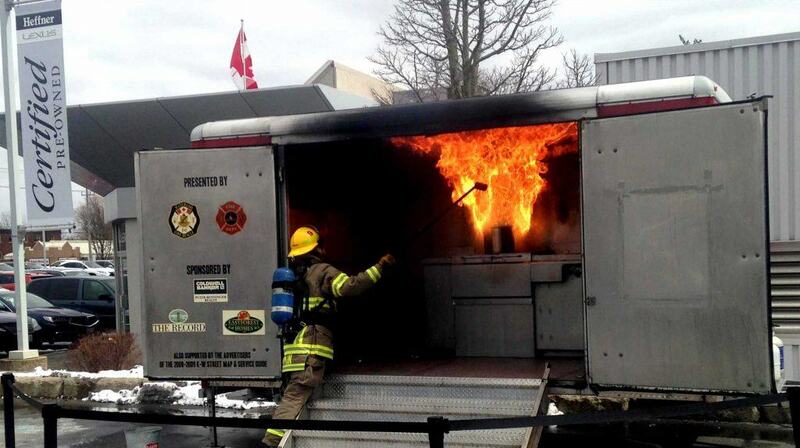 First, see the importance of kitchen safety and how to properly put out a grease fire. 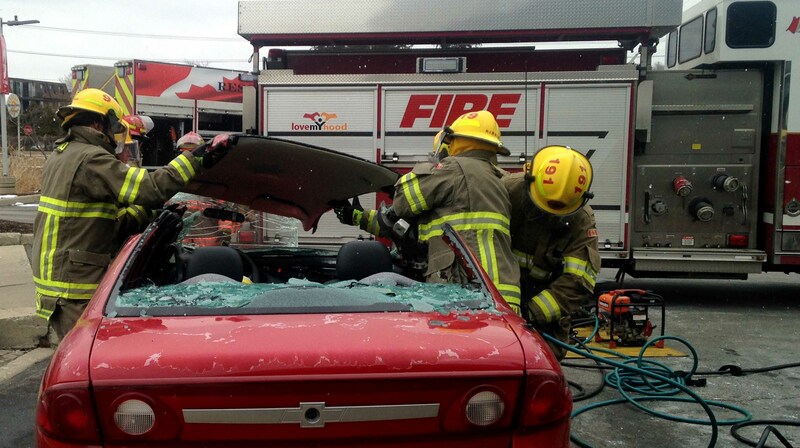 Then, the Jaws of Life will be put into action in a mock rescue scenario. See how the crew at Kitchener Fire are able to cut through a vehicle, quickly and safely, to rescue a passenger after a severe collision. See a vendor(s) that’s caught your attention. Then come see them and more at the Annual Heffner Spring Show. It’s completely free of charge and fun for all ages. Hope to see you, Saturday, April 8th. We always love to see your face at Heffner Lexus Toyota, whether it’s to talk cars, or just catch up. It’s the reason we host several events throughout the year, like the Spring Show, Christmas Open House, and Get to Know Your Car Nights. 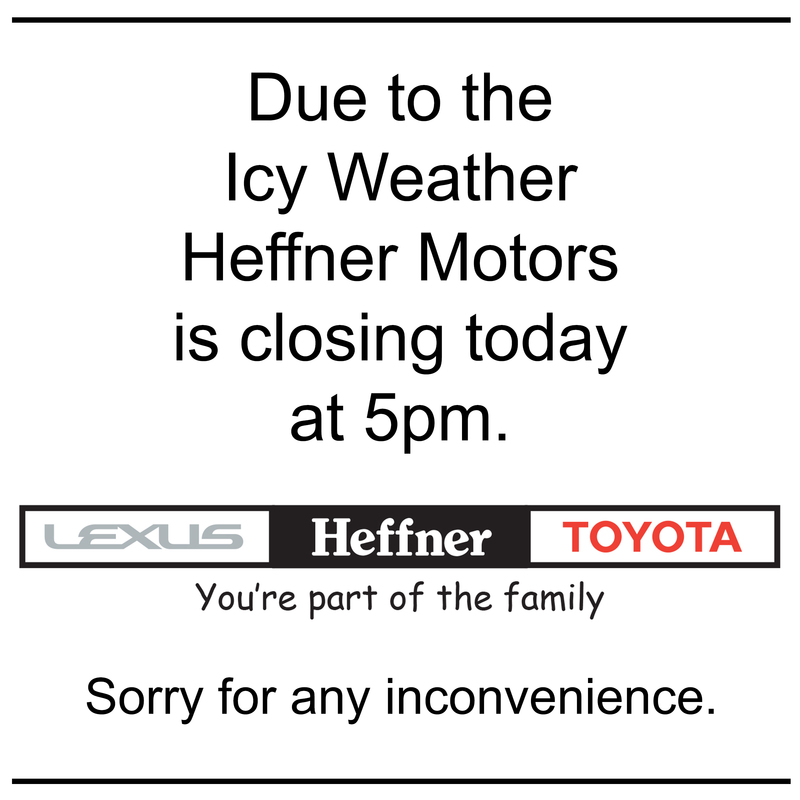 We’re also gearing up for a couple special nights this year at Heffner Lexus. It’s a great way to socialize with no business talk. However, if you do want to get down to business, it’s always a good idea to book an appointment with a Product Advisor ahead of time. We know you’re busy, who isn’t these days? The last thing we want is to have you show up at the dealership and have to wait because your Product Advisor is assisting another guest. You don’t want that. We don’t want that. When you book an appointment in advance, we make sure who you want to see is ready for you, with sufficient time to fully answer all your questions while giving you the attention you deserve. If you’re interested in going out for a test-drive, your desired Product Advisor will have the vehicle out front, plated up, gassed up, and ready to roll. Booking an appointment with the Heffner Used Vehicle Centre or the Luxury Pre-Owned Centre is recommended as well, for the same reasons as on the new side, plus a couple more. For one, if the vehicle you’re interested in happens to sell before you can get in to see it, we’ll let you know before you visit; again it’s about valuing your time and making sure it’s not wasted. Secondly, if you’re trading in a vehicle, we can make sure an Appraiser is ready as well, so while you’re out evaluating your next vehicle, we can be evaluating yours at the same time. We want to make sure the process is as convenient as possible. Now that you know some of the many benefits of booking ahead, how do you go about doing that? You can call 519-748-9666 and speak to one of our Product Advisors. You can also “chat in” or “Request a Test Drive” from our website, and in both cases, we will confirm your appointment time with you. If your preference is still to drop in, you’re more than welcome to do that. We’ll do our absolute best to accommodate you and your schedule. 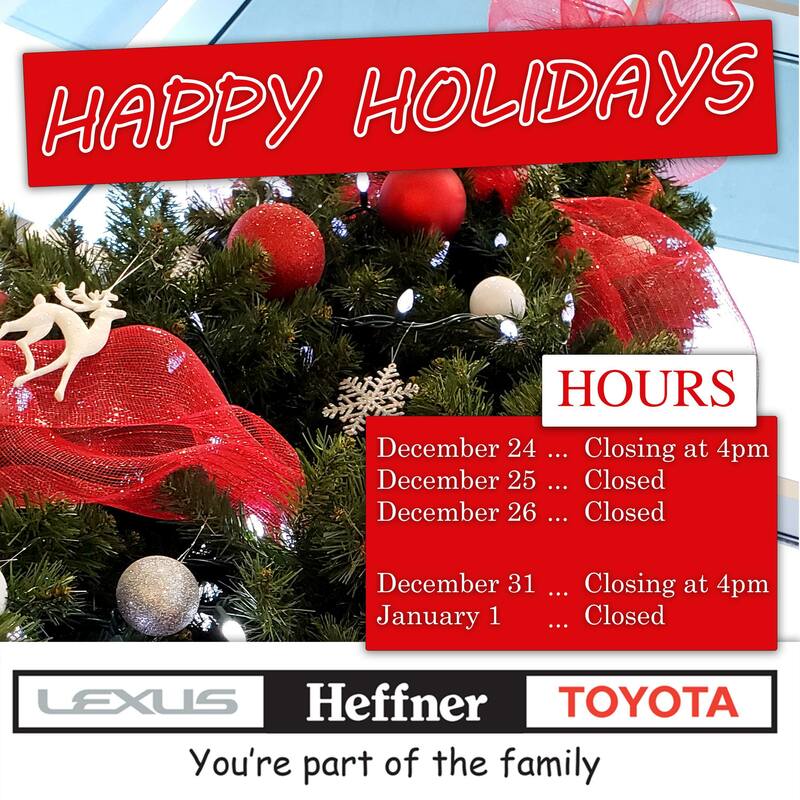 We hope to see you soon at Heffner Lexus Toyota. Thanks for reading our first abbreviated edition of our redesigned Heffner Review. If you have any thoughts, comments, suggestions, or anything else, please feel free to email Ryan with them. Thanks again!